Journeys through time can sometimes be bumpy! You may need one of these to smooth out your way. 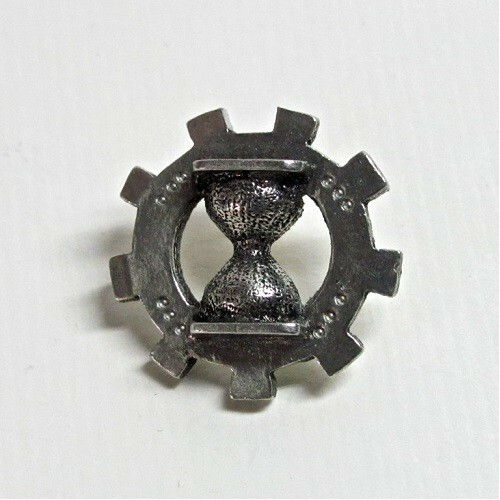 Through the mystery of steampunk, the gear works with the hour glass to create a smoothing effect on time travel. 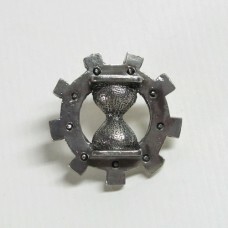 Not a time machine - finding a way to travel through time is up to you - but wearing this wondrous device will make your travels through time smoother then they would have been without this Time Travel Aid tac pin. 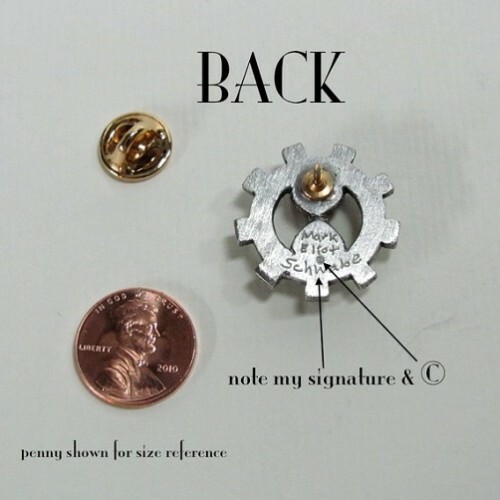 This hand detailed tac pin can be worn almost anywhere, think: collar, hat, lapel, on your bag, jacket, vest .... you get the idea. Makes a unique gift. 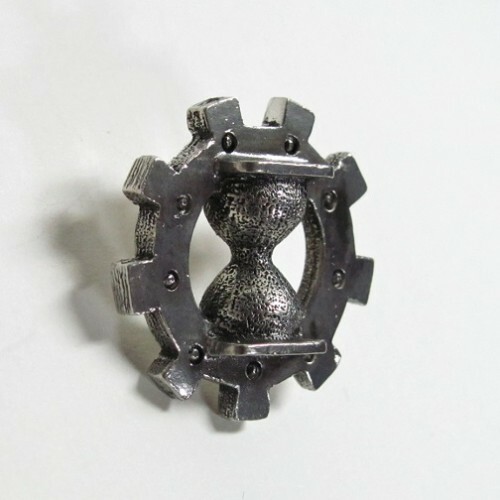 Not only does this tac pin provide temporal benefits (smoothing out travel through time) but each is individually hand detailed - no two are exactly the same. Perfect for steampunks and sci fi geeks. SteamSmith also makes a Time Travel Aid key chain. This product is available only for the United States, United Kingdom, Germany, France, Australia, and New Zealand. $4.00 shipping within the US, $12.00 to other noted countries. The Steampunk Museum is an authorized retailer of Mark Eliot Schwabe, SteamSmith designs.